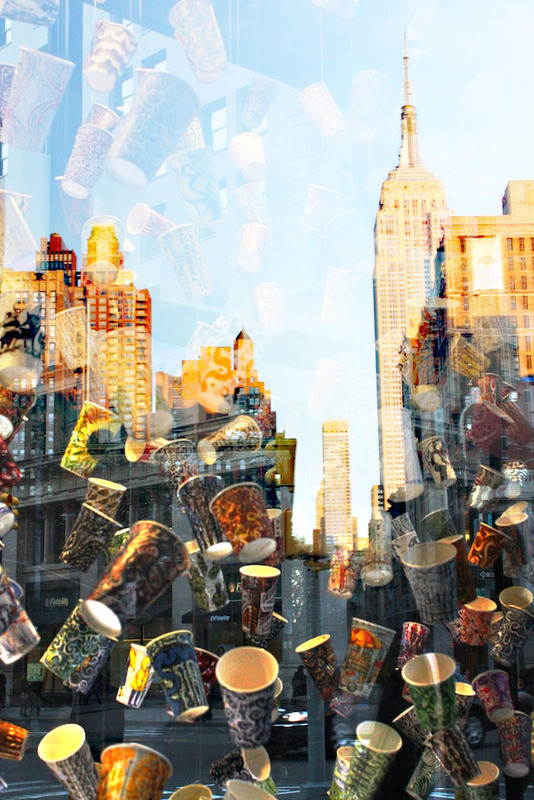 The Resident Tourist: Colorful Cups . . . The Flatiorn District is one of my favorite areas of the city. Within a short block radius you have it all. From Eataly and Madison Square Park, to Shake Shack and Bleu Sur Bleu. The shopping in the neighborhood isn't too bad either. 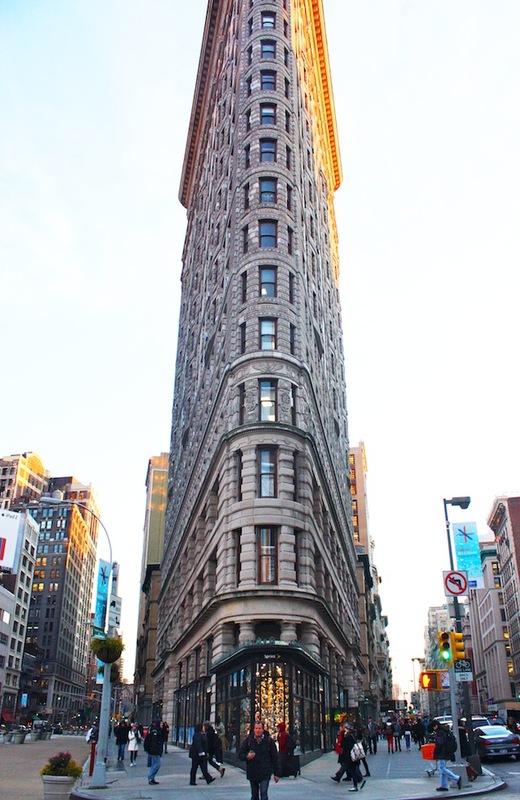 But what really makes this part of the city so special is the iconic Flatiron Building. It's so picturesque, quintessential New York. Definitely worth a snap with your cell phone cam. And while you're out there visiting the angled beauty, I suggest you take a peak into Sprint's Flatiron Prow Artspace. A wonderful free exhibit area, this glass walled gallery puts art right into the street for the passing public to view. Currently showing is Gwenyth Leech's "The Cup Drawings," which features a collection of painted floating cups. Delicate and whimsical, I'd highly reccomend a visit. On your way, stop for an Earl Grey Latte at Argo Tea, enjoy your own cup while admiring the intricate designs of Leech's colorful creation.